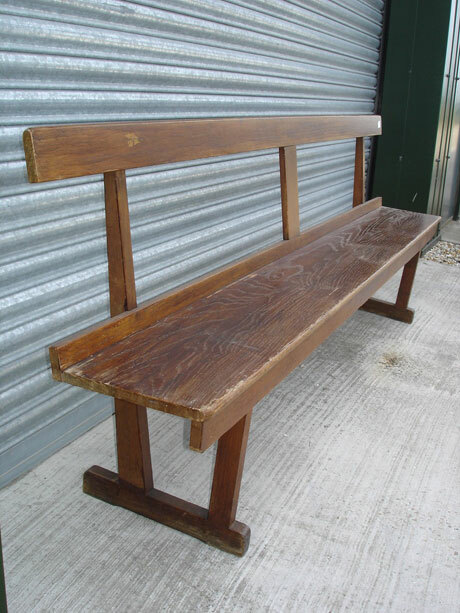 Get more bottoms on seats, they’ll spend more! 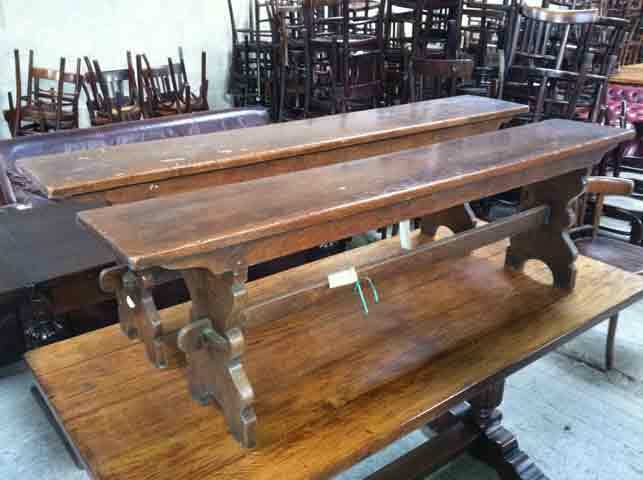 Again, pews are useful for those awkward areas with limited space, they can usually be cut to size and we gather many different styles. 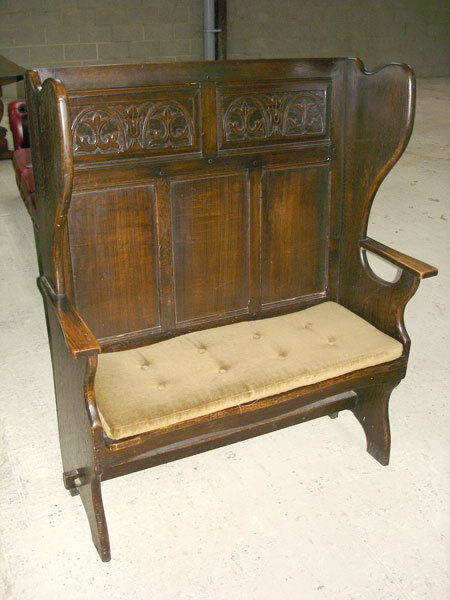 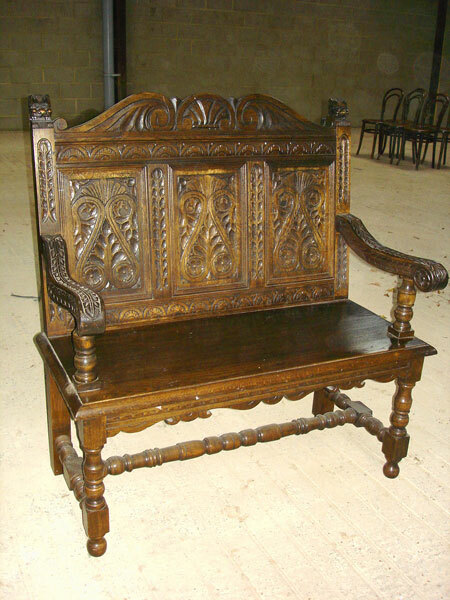 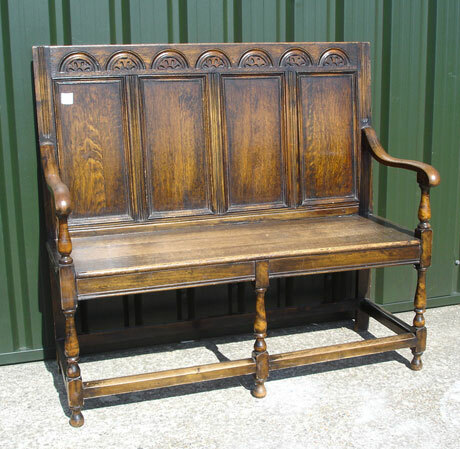 A tall oak settle with cushion and a heavily carved oak bench. 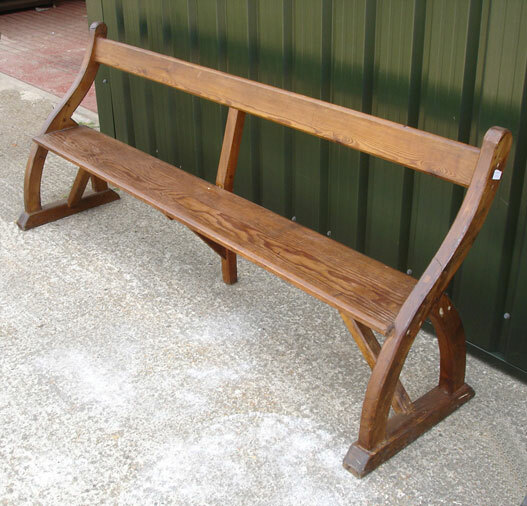 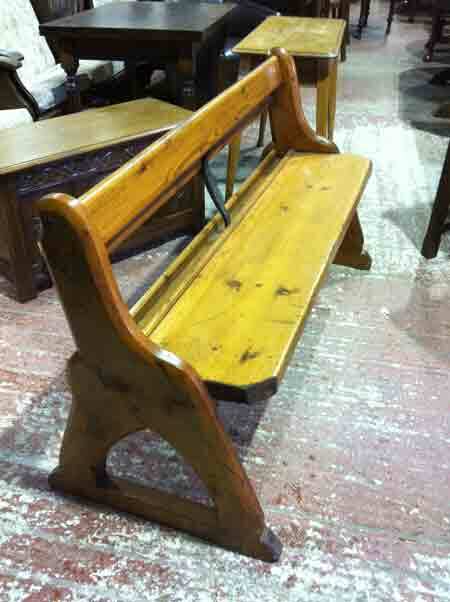 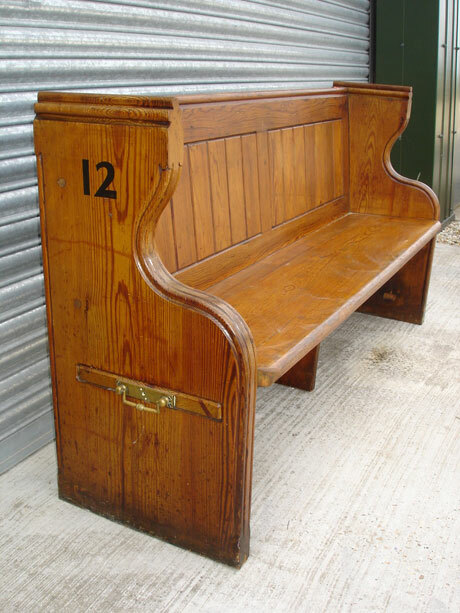 This old pitch pine church pew makes for lovely pub seating (160 x45cms) , as does the Railway Bench (230x40cms) .We can supply pews cut to size.